Some of you have applied for disability benefits and learned that some family members might be eligible to receive benefits as well. We wanted to break down exactly what family benefits are so you’re well versed to begin maximizing the benefits amount that you can receive for not only yourself but for your family. When any eligible member of your family goes to apply for benefits, be prepared to submit their Social Security numbers as well as their birth certificates. The Social Security Administration (SSA) may ask for proof of marriage and dates of prior marriages, if available when your spouse applies for benefits. Each member of your family can qualify for a monthly benefit of up to half of your disability benefit amount. However, the SSA imposes a limit on the amount paid to your family in benefits. The total amount allowed is dependent on your benefit amount and the number of family members eligible for benefits. The amount varies, but typically the total amount allowed for your family to receive is between 150 and 180 percent of your disability benefit amount. If the total of benefits paid to your family is larger than the family cap, the benefits paid to your eligible family members will be reduced accordingly. Your personal benefit amount will not be changed. If you have a divorced spouse who is eligible for disability benefits, their amount will not alter the benefits paid to your or your family. Your spouse reaches age 62 or older unless your spouse decides to collect a higher Social Security benefit based on their earnings record. The benefits paid to your spouse will be reduced by a percentage dependent on the number of months until their full retirement age, this reduction cannot be appealed or reversed. At any age where your spouse is caring for your child under age 16 or disabled. Your spouse will be paid benefits until the child reaches age 16. When that happens, the child’s benefits continue, but your spouse’s benefits are stopped unless they are old enough to receive retirement benefits (minimum of age 62) or survivor benefits as a widow or widower (age 60). If your spouse qualifies for retirement benefits on their own record, the SSA will always pay that amount before anything else. However, if the spouse benefit that is paid on your record is larger, your spouse will receive a combination of benefits that sums to the higher amount. Your spouse’s Social Security benefit on your record may also be affected if your spouse will receive a pension based on work that is not recognized by the Social Security Administration, such as foreign or under the table work. Even if you remarried, your divorced spouse might still be eligible for benefits on your account. As stated previously, if your divorced spouse will receive a pension based on work not recognized by the SSA, their Social Security benefit on your account may be affected. ineligible for an equal or higher benefit on their own Social Security account, or one someone else’s Social Security account. Keep in mind, the benefits paid to your divorced spouse do not affect the benefits that you or your current spouse may earn. When qualifying for Social Security disability benefits, your children may also be eligible to receive benefits on your Social Security account. Your qualifying child can be either your biological child, adopted child, or stepchild. A dependent grandchild may also be eligible to receive benefits. 18 or older and possess a disability that began before age 22. Typically, the SSA stops paying benefits when children become 18 unless they are disabled. However, if the child is still a full-time student at a secondary (or elementary) school at age 18, their benefits will continue until they graduate or until two months after the child becomes 19, whichever is first. You can learn more about Benefits For A Disabled Child by clicking here. Calling the toll-free telephone number 1-800-772-1213. If you are deaf or hard of hearing, you can call TTY 1-800-325-0778. Scheduling an appointment with a Social Security representative by contacting your local Social Security office. Below is a case study of how a UK insurance provider significantly reduced their fraud risk from persistent cyber criminals using the advanced fraud detection and prevention solutions offered by iovation a leading provider of fraud prevention software solutions. Matt Gilham, Head of Financial Crime at esure, one of the UK’s leading providers of motor and home insurance products discusses how his company has reduced insurance fraud using iovation fraud detection/prevention software. Just like other UK insurers today, esure gets the majority of its new policy applications through insurance aggregation websites like Gocompare.com (Goco). The rise of digital applications for insurance policies brought with it an increasing number of bad policies. That led Gilham to add device recognition to his application fraud-fighting stack in late 2013. After implementing iovation’s realtime blocking, we reduced the volume of fraud attacking us by 70%. Since that proof of concept, esure has continuously raised their guard against fraudsters without impacting the experience for its legitimate customers. The opportunists have gone elsewhere, but the better-organised and -funded rings have increased the sophistication of their tactics. When esure added real-time blocking of devices applying for motor insurance on their site, the fraudsters turned to the aggregators to solicit quotes and submit applications. Then, esure and Goco – another iovation user – teamed up to create business rules that stopped bad devices from viewing esure’s policy quotes on the aggregator’s site. esure enjoyed a lull in its fraud rate for months after each change. But the fraudsters would not go away. Over the phone, synthetic identities would be denied by esure’s identity and financial stress scoring services, but the stolen Personal Data of a reputable victim would slip through. As soon as the call center agent incepted the policy, the fraudster would receive an automatic email with a link to download the policy documents. Then, it was just a matter of time before a bad claim or a distraught ghost-broking victim would follow. While the fraudsters could change the ways they applied for esure’s policies, and use stolen PII to pass identity checks, they were still reliant on an Internet-connected device to conduct their business. That single point in the process remains fraudsters’ weakness; thanks to iovation. iovation’s device recognition technology uses thousands of permutations of device attributes to identify a device instantly and continue to recognize it over time. (Coincidentally, this feature complements the GDPR’s mandates for data minimization and privacy by design.). When any of iovation’s 4,000-plus Community of users encounters fraud from a device visiting their site, they place specific evidence of fraud against the device in iovation’s database of over 4.7 billion devices, the world’s richest. Every anti-fraud professional involved is intrinsically motivated to add the highest quality of evidence to iovation’s 47 million reports of fraud and abuse. “The evidence from iovation’s Intelligence Center helps my investigators to confirm their suspicions about the devices associated with dubious policies or claims,” says Gilham. With more than 40 evidence types to choose from – ranging from reports placed against a device to technical anomalies like Tor nodes and proxy servers – Gilham and his team can create endless combinations of compound rules to sharpen their transaction decisioning process. Rules can be tuned in real time for immediate and precise control over how each visiting device will be treated. After discovering the ‘call center loophole’ that fraudsters were exploiting, esure created a portal for customers’ documents. This was a convenient, secure place for honest customers to access and store their documents in the cloud. For fraudsters, it was the end of the line. If they tried to register an account or log in with a hot device, iovation’s business rules stopped them cold. “Since we began blocking bad devices at the portal, our fraud rate has decreased by a solid 40%. It’s somewhat counter intuitive, but we’ve seen a drastic reduction of telephony fraud due to having iovation on the web,” says Gilham. Visit www.iovation.com for more information about advanced fraud prevention software and advanced authentication solutions. Traffic law can vary quite a bit from state to state, especially when it comes to the harshness of penalties. Understanding the exact nature of these penalties and when they apply can mean the difference between a few days and a few years in jail. To that end, here are some facts about Virginia’s traffic laws. How strict are Virginia’s DUI laws? Virginia has a more specific set of penalties than most states, attaching separate punishments to first, second, third, and subsequent convictions, then additional penalties based on how many convictions you’ve had in the last ten or five years. Receiving three convictions within ten years can result in more than half a year in prison and permanent forfeiture of your vehicle. Additionally, if you had a particularly high BAC, then further jail time may be added. Between .15% and .20% carries an additional five or ten days in jail, depending on whether it was your first or second offense in the last ten years. Over .20%, those penalties double. Though these particular penalties aren’t very large in the context of a third or fourth offense, they could result in doubling or even tripling your potential jail time if it’s your first or second conviction. What is the penalty for running a red light in Virginia? Running a red light or stop sign in Virginia can mean as little as a small fine or as much as the suspension of your license. Ignoring a red light will cost you up to $350, whereas failing to stop at a stop sign is only $250. However, each also carries the additional penalty of demerit points on your license. The accumulation of too many will result in the loss of your license, so if you’re already near that point, failing to heed a simple traffic signal may cost you your license. Should you hire a traffic attorney? If you have been charged with a traffic violation, then you should consult a traffic attorney in Chesterfield Virginia at the very least. They will be able to look at the specifics of your case and help you decide if hiring an attorney is the right solution. In some cases, an attorney could save you from the majority of the maximum penalties allowable for the specified offenses. Even if the help of an attorney may only result in limited savings on the financial side, shaving any amount of time off of a prison sentence can be invaluable. adult child disabled before age 22. Once a qualifying member of your family submits an application for Social Security benefits, the Social Security Administration will request their Social Security numbers as well as their certificates of birth. The SSA could request proof of marriage and dates of any prior marriages when applicable if your spouse submits an application for benefits. Every member of your family could be eligible for a monthly stipend of up to 50% of your disability rate. Make a note; the SSA imposes a limit on how much they will pay your family. The amount paid is based on your disability benefit amount and the number of family members who are qualified due to your record. The amount differs, but typically the total you and your family can earn is around 150% to 180% of your disability benefit. If the total amount of benefits that are paid based on your record is larger than the family limit, the benefits to the members of your family will be lowered appropriately. Your actual benefit will not be reduced or increased. If you have a divorced spouse who can submit an application for benefits, it will not influence the total benefit amount you or your family can be paid. Age 62 or older, unless they receive an increased Social Security benefit due to their earnings record. The spouse benefit amount will be permanently reduced by a percentage determined on how many months up to their full retirement age. At any age, if they are caring for your child under age 16 or disabled and receiving Social Security benefits. Your spouse would receive these benefits until the child reaches age 16. 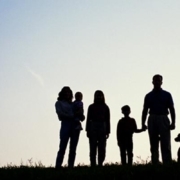 At that time, the child’s benefits continue, but your spouse’s benefits stop unless he or she is old enough to receive retirement benefits (age 62 or older) or survivor benefits as a widow or widower (age 60). If your spouse qualifies to receive retirement benefits based on their own earnings record, the SSA will always award that amount first. However, if the spouse benefit that is paid based on your earnings record is a larger amount, they will receive a combination of benefits that total that larger amount. Regardless if your spouse begins receiving benefits before, after, or during the same time as you; the SSA will review both earnings records to determine that your spouse gets the larger amount whenever they become entitled to receive it. If your spouse expects to get a pension that’s determined on work not covered by Social Security, such as government or foreign work, their Social Security benefit on your earnings record could be affected. If you are divorced, regardless if you’ve remarried, your ex-spouse could qualify for benefits based on your record. If your ex-spouse expects to receive a pension determined by work not included in Social Security, such as government or foreign work, their Social Security benefit based on your earnings record may be affected. not be eligible for an equal or higher benefit on his or her own Social Security record, or on someone else’s Social Security record. The total of benefits that can be paid to your divorced spouse has no influence on the total of benefits you or your current spouse may be paid. When you’re eligible to receive Social Security disability benefits, your children could also be eligible to earn benefits based on your earnings record. Your qualifying child can be your biological child, adopted child, or stepchild. A dependent grandchild could also qualify. 18 or older and have a disability that started before age 22. Typically, benefits stop being paid when the child reaches age 18 unless they are disabled. But if the child is currently a full-time student at a secondary or elementary school at age 18, benefits won’t stop until the child graduates or until two months after the child reaches age 19, whichever comes first. In your family, every qualifying child could receive a monthly benefit up to one-half of your full disability rate; keep in mind, there is a limit to how much the SSA will pay your family members. Washington is the United States’ largest exporter, contributing 5% of all U.S. exports, with primarily timber and aerospace products. As multiple job sites expand, so does the chance that an employee will receive an injury, this is why Washington places a requirement that employers must have workers’ compensation insurance. If you were hurt at work in Washington state, continue reading to discover the basics of Washington workers’ compensation laws. Workers’ compensation is a type of employer insurance that gives injured workers compensation for work-involved injuries. Workers’ compensation insurance protects employers as well as employees from the financial hardship caused by work-involved injury or occupational illness. In Washington, employees are given two options to obtain workers’ compensation coverage. The first is that employers may purchase their insurance through the Washington State Department of Labor and Industries. DLI handles claims and benefits out of an insurance pool known as the Washington State Fund, which is funded by premiums paid by both employers and employees. The second option is that some employers can qualify for self-insurance if they enough financial stability (a minimum of $25 million in assets), effective accident prevention program, and effective administrative organization for workers’ compensation. If an employer is self-insured, the rights and entitled benefits of an injured employee stays consistent, but who handles your claim does differ. Under the self-insurance, your employer, instead of the DLI, manages the paperwork and funds your claim.